Ticks have even been linked to the newly discovered (and potentially lethal) Powassan virus as well. Don’t risk the health of your loved ones and let these nasty bugs force you inside for another summer. 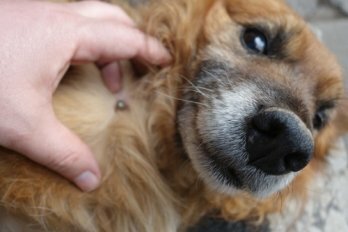 Rockingham Turf’s tick control and spraying services can help safeguard your family, pets, and yourself against tick-borne illnesses so you can take back your outdoor living spaces. Rockingham Turf Care knows ticks. We know that, while they can be found virtually anywhere outside, they absolutely thrive in cool, shady places such as high grass, weed patches, and ornamental ground cover. We use this knowledge and expertise to assess your property and determine the biggest trouble zones throughout your yard. Our skilled and licensed technicians carefully evaluate your residential or commercial property, perimeters, and surrounding environment to create a customized plan of action. Experience alone isn’t all we offer our customers. Rockingham Turf also has three dedicated tick spraying trucks in our arsenal armed with the latest tick-spraying innovations. Our extensive insight, coupled with our state-of-the-art equipment, reduces tick infestations and optimizes overall results. The Rockingham Turf Care tick control approach quickly separates us from the competition. Unlike other pesticide application companies that require 3 or 4 tick control applications, Rockingham Turf delivers a comprehensive solution in just two treatments. We begin in May, just as these bugs start getting active, and end in early October for residual control until the cooler weather comes. The equipment we use plays a vital role in the success of our applications. We believe our customers deserve the best available tools and innovations to ensure success. Our team uses high-powered sprayers that apply 25 to 75 gallons of phyrethroid insecticide and disperses it through a 300-foot long hose at 300psi for more thorough coverage throughout your yard. Additionally, at Rockingham Turf, we go beyond the lawn. We carefully spray property perimeters and proximate areas during each application. By treating the areas surrounding your lawn, we are able to more effectively eliminate adult ticks as well as nests and eggs for long-term impact. Rockingham Turf completely treats all suspect regions to help reduce tick infestations and repel them from coming back. © 2018 Rockingham Turf Care. All Rights Reserved.